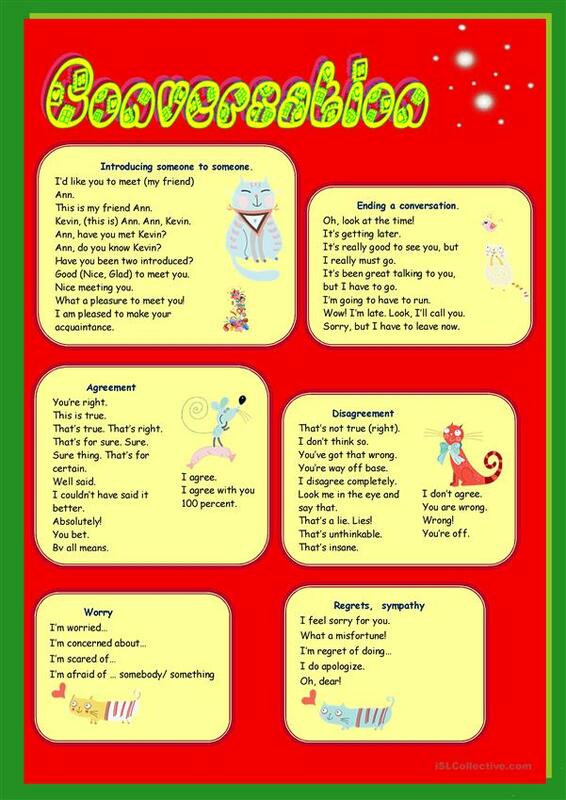 Expressions about agreement, disagreement, worry, regret, ending a coversation. This downloadable printable is best suited for high school students and adults at Intermediate (B1) level. It was designed for improving your pupils' Speaking skills.